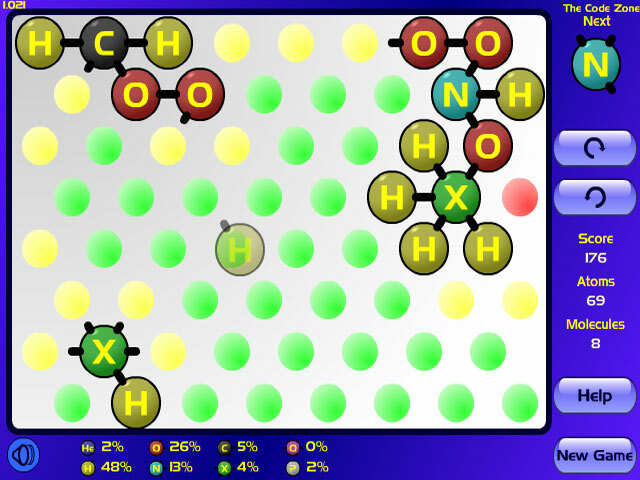 Score points building massive compounds from atomic elements and bone up on your chemistry in this exciting puzzle game! 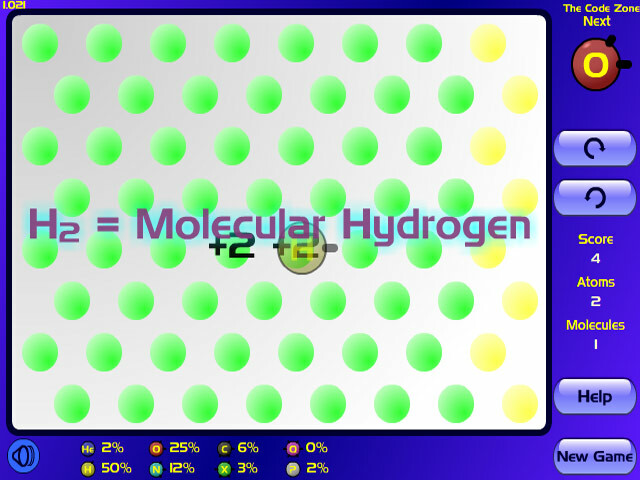 Choose from three different skill levels and build complete molecular models of common (and not so common) compounds. The bigger and more complex the compound, the higher the score. 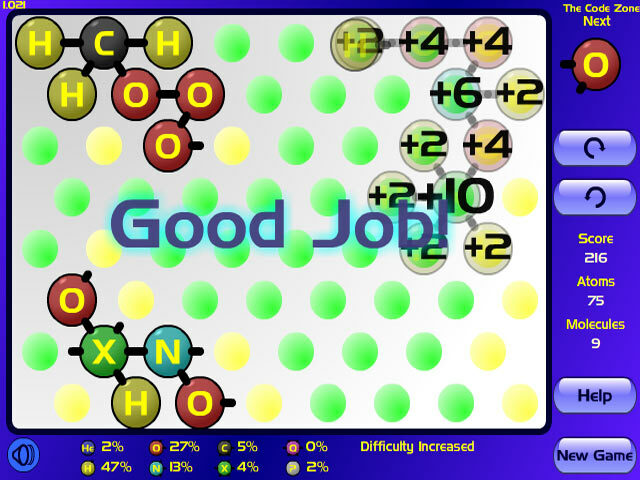 Enjoy hours of challenging fun with this puzzle game for the atomic age!